Building for the first time? Gutenberg enables developers and designers to create reusable modules for design and content, while empowering end-users to combine and customize those modules to do everything from launching twenty simple landing pages in an hour to building a complex new digital experience. 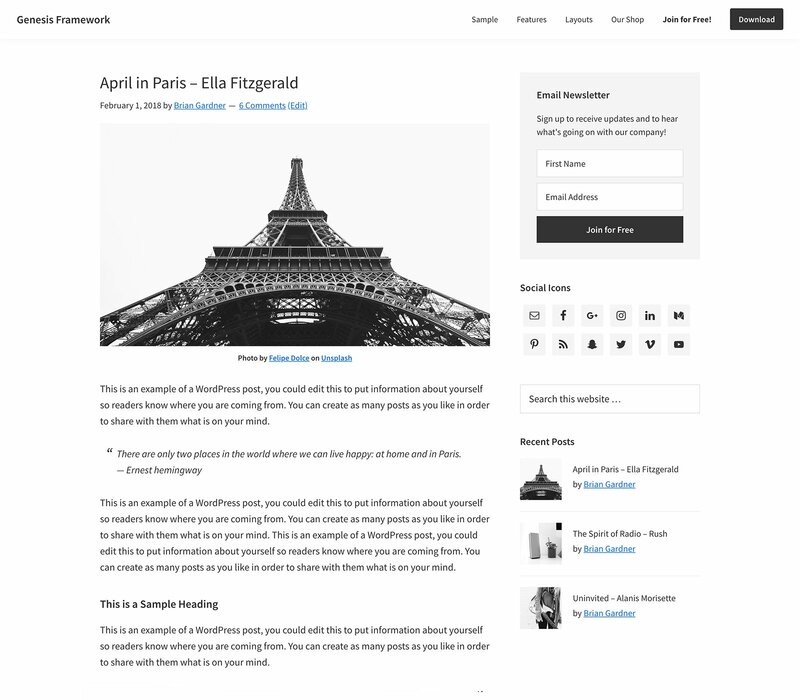 Choose from a selection of pre-made templates to build your site: Default, Archives, and Blog Page. Build up your site with featured posts, featured page, and user profile widgets that you can set to fit your site. Get your site up and running with the Genesis Framework.